Every year families are tragically affected by the very Christmas decorations that are supposed to bring joy. While not all fires are preventable, here are five areas of concern you can address in your home to reduce the chances of a fire dampening your Christmas season. We’ve incorporated a few of the NFPA safety tips in this article and added a few of our own. Buy a fresh Christmas tree and keep it watered – If yours is one of the families who love the fragrance and look of a real tree, there are a few things you can do to reduce the risk of house fire. 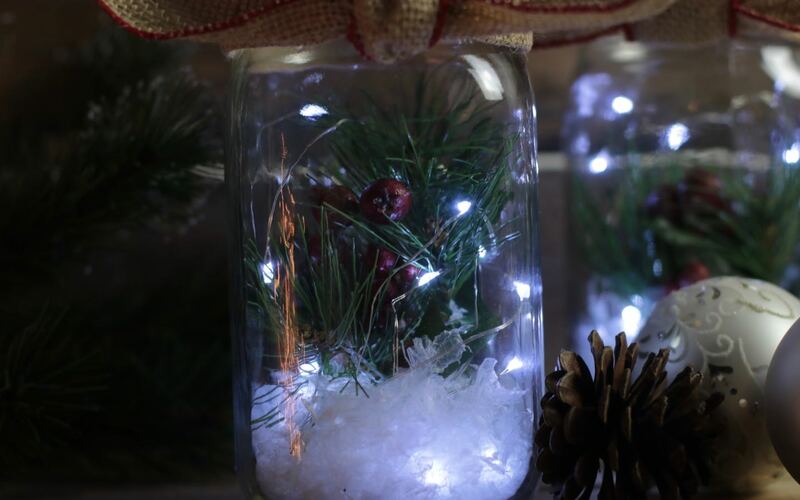 Before you purchase your tree, shake the limbs gently and see that the needles stay on the tree. They shouldn’t fall off like the rose petals on a week-old cut flower display. Cut at least 1/2 inch off of the bottom of the tree. (If you purchase your tree at a lot, they may take care of this for you – be sure to ask about this service. )In the same way that clipping off the ends of flowers increases their ability to draw water up through their stems and last longer, cutting the bottom of the tree will make it easier for it to absorb water. After cutting the bottom, install your tree into a stand that’s specially made for a real tree with an easy to access port for watering the tree daily. Trees with just a 2-inch trunk can use up to 2 quarts of water a day.Don’t shave the side of the trunk to make it fit into the stand since water runs up the outer layer of the trunk. Find a bigger tree stand.If you should happen to let the reservoir in your tree stand run out of water, you’ll need to recut the end of the trunk – so don’t let that happen. It bears repeating, water your tree daily and remove your tree within a few days after Christmas or when you see it brown and start to drop it’s leaves. If you plan to travel after Christmas consider removing your tree from your home and definitely unplugging any lighting before going out of town. Locate your tree away from heat sources and direct sunlight – Make sure your natural tree is installed several feet from fireplaces, heater vents and flammable fabrics. 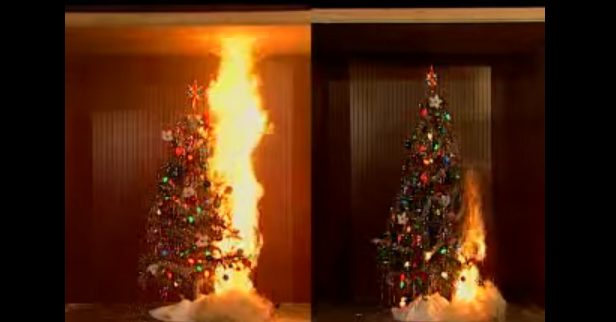 Don’t put your Christmas tree close to your fireplace, radiator or heater vent. Don’t run too many sets of lights in series – While I love wretched excess when it comes to Christmas tree lights you have to practice electrical restraint. Every Christmas light string has a maximum connection rating. The current UL guideline is that no run of lights connected end-to-end with male and female plug sets exceed 210 watts. Know the wattage rating of the lights that you are using and the maximum specification before you get started and don’t add “just one more set”. A good rule of thumb is to stay under 1000 watts per household breaker. Also consider that this specification is per breaker not outlet. Many times multiple outlets run to the same breaker. If you have a question about how many lights can be supplied safely by your electrical service, consult with an electrician. Fire due to over-taxed extension cords is high on the list of fire starters at Christmas. Use a heavy duty, properly rated extension cord. 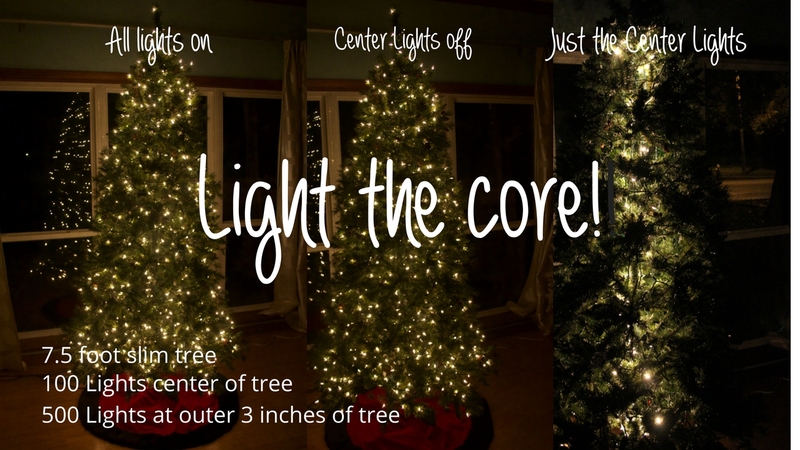 A simple household extension cord may not be sufficient if you are lighting your tree with 1000’s of bulbs, bubble lights and larger C7 or C9 bulbs. 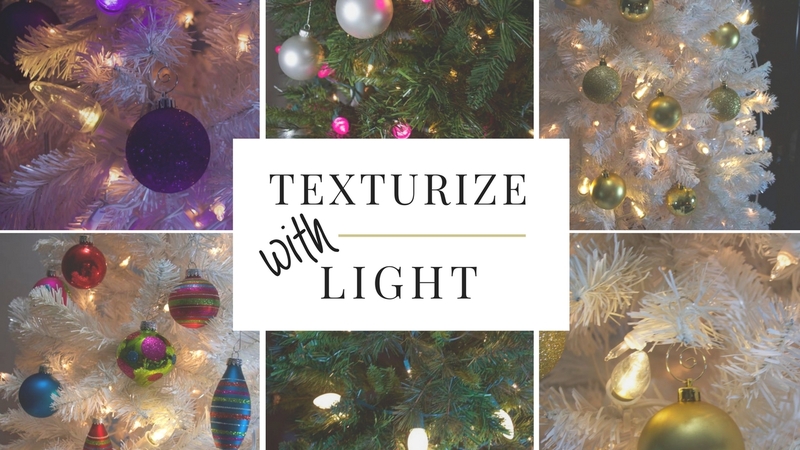 If you really love a ton of lights on your tree, consider LED light sets that operate with little to no heat output. Their ultra-low current rating means that you can run many more of them in series vs. traditional Christmas tree lights. If an adjustment requires the use of a soldering gun, you’ve just taken a significant risk. It’s not worth a house fire to shorten a set of lights or replace a defective socket. A Master Licensed Electrician’s hourly rate is nominal compared to the cost of replacing burned furniture and rebuilding after a fire. Hire an electrician to install your lights or to inspect them after installation. Save your boxes or print out the specifications of the lights strings you plan to or have used in your project. 4 . 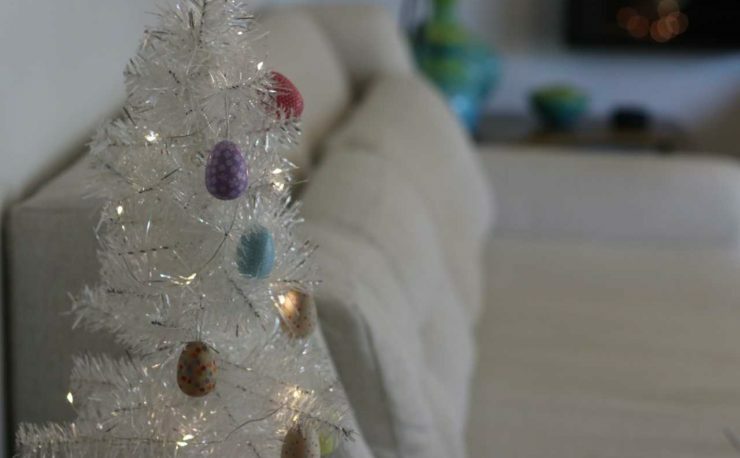 Confirm lights on your Artificial tree are in good condition – Check for frayed wires and plug connections. If you see any visible damage, see or hear sparks at any time during installation, remove the lights strings and start over with new lights. Using the replacement bulbs that came with your light sets, replace any burned out bulbs. 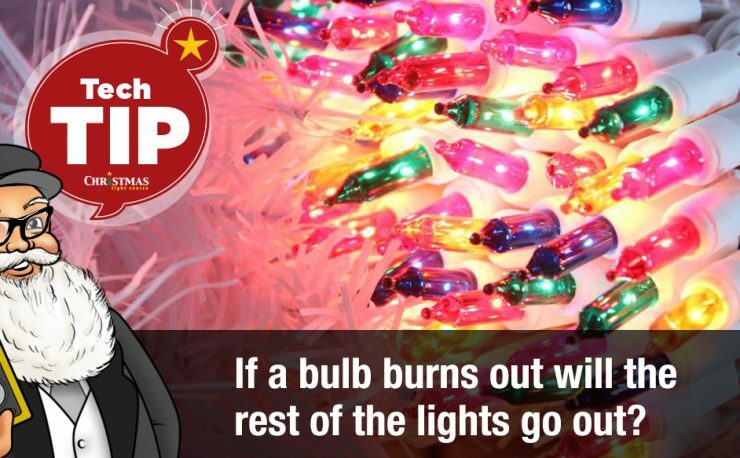 Even though the light string will continue to burn because there is a shunt wire that continues to conduct electricity, a higher current will run through the rest of the bulbs. Save yourself time and trouble and replace strings that have more than a couple burned out bulbs because once you see a few go out, the rest are soon to follow. More than likely that’ll be at 11:00 PM on December 24. 5. Use a timer, don’t leave lights on unattended – Use a properly rated timer to ensure your lights are turned off each evening. If you are using LED lights, consider using a timer that has a built-in surge protector. Surges on the lines are the number one cause of LED failures. All of the electrical guidelines and specifications referenced in this article are subject to change according to evolving standards and regulatory guidelines. Consult with a master licensed electrician to ensure that your home Christmas lighting decor is properly wired and powered. The author of this article assumes no responsibility or liability. Be wise, use a Licensed Master Electrician. Thank you for the great info! I’ve always been nervous my tree would catch on fire! Lots of good tips here. Thanks for the tips! This is always a concern for me around the Christmas season, so I always unplug my tree when I’m not home. 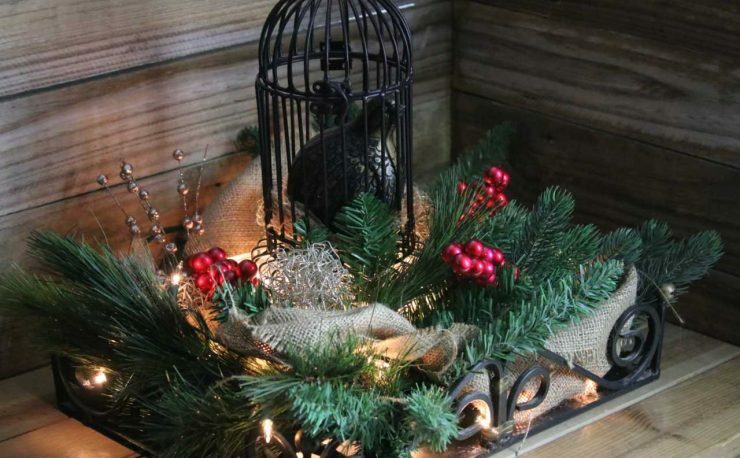 The point about not adding too many strands of lights in a row is one that could easily be overlooked. We have always had a real tree, and the info you have here is exactly what everyone needs to know to stay safe. We water regularly and never run the lights when we are not in the room. As the video shows, a dry tree takes seconds before it is engulfed in flames. Scary stuff, but if people are smart and do the things you point out here, they will be much safer. Thank you for the information. It’s important to remember your advice. This is great information. We have almost always had a real Christmas tree (except when we lived in Brazil and it was summer at Christmas). What folks need to understand is that the tree they are buying on the corner or at their local charity lot were cut weeks ago and the tree sap has sealed the cut. That is why it is imperative to make a new fresh cut and place the tree trunk in water right away so the tree can absorb it and stay fresher longer.